Change is inevitable, our personalities, our style, our beliefs evolve over time. 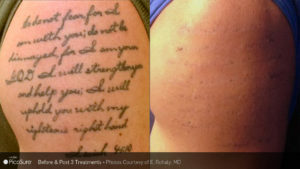 For some, that includes a change of heart about their tattoos. 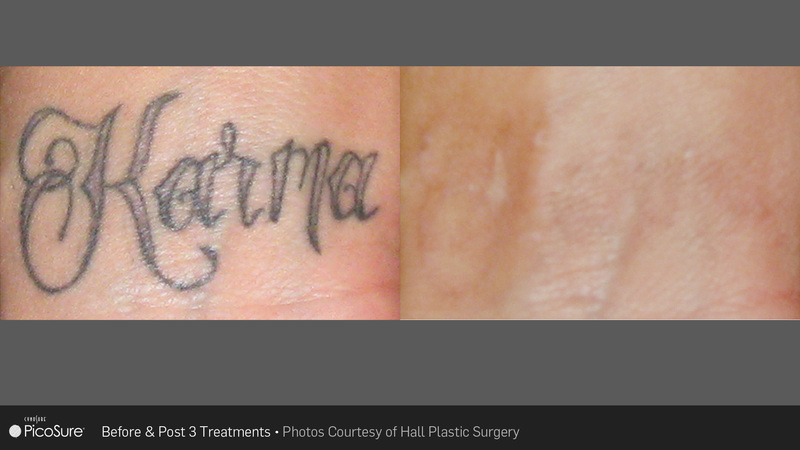 Whether it’s because of design or placement, or message, you can start anew! Tattoos can be a beautiful human expression but as our lives change, tattoo regret takes over. 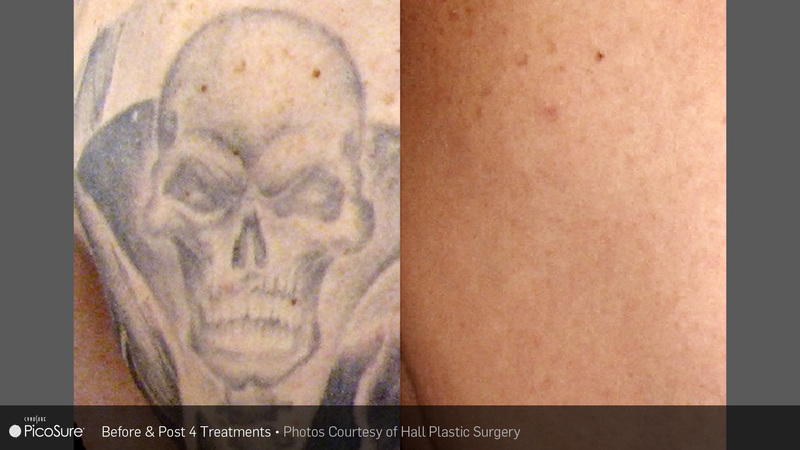 Erase unwanted tattoos and pigment with PicoSure, the most advanced laser treatment available for safe and effective tattoo removal. 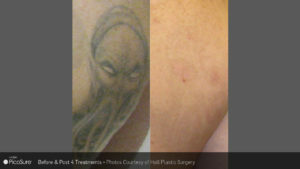 PicoSure targets unwanted ink more effectively than ever before, successfully removing difficult ink colors, such as blue and green, as well as previously treated tattoos. 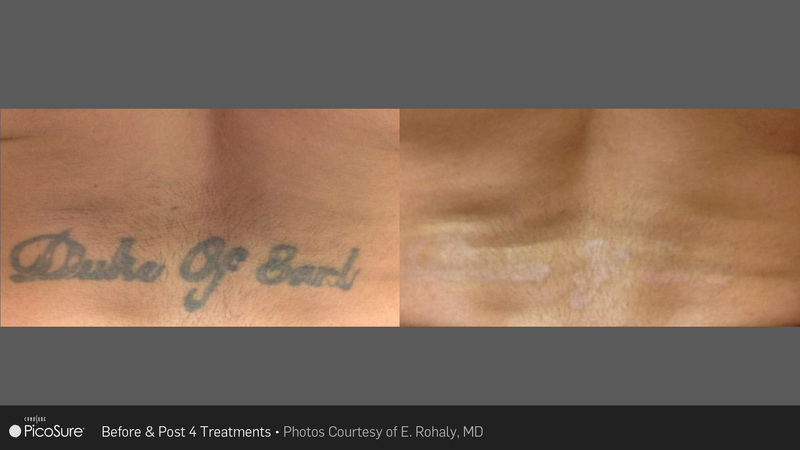 Fewer treatments, improved recovery time, and faster results are achievable with PicoSure’s groundbreaking picosecond technology. 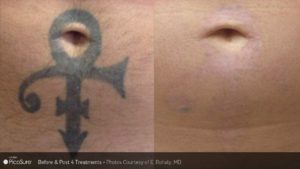 PicoSure clears away unwanted tattoos more completely with faster and fewer treatments, significantly reducing removal times versus other systems. 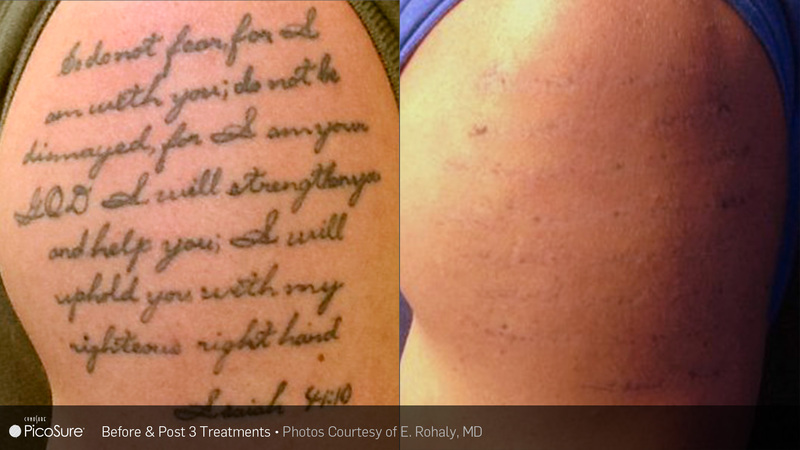 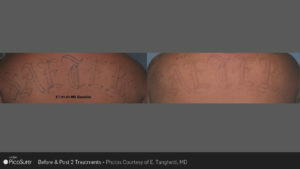 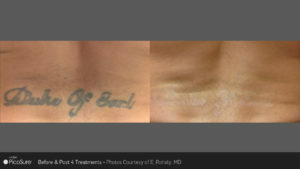 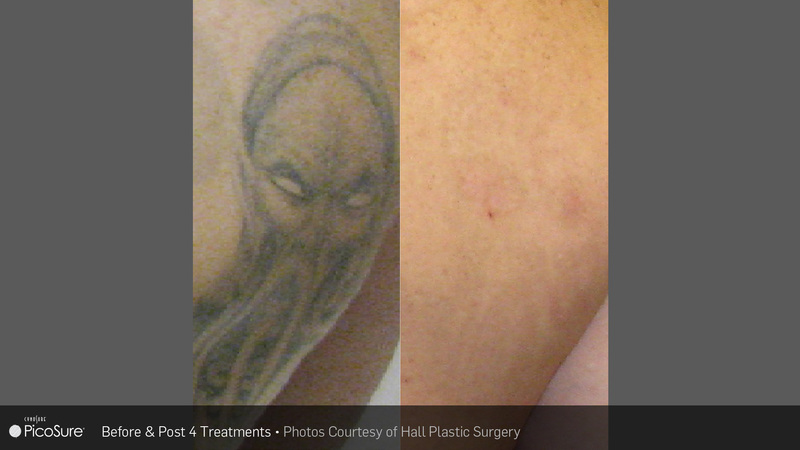 PicoSure® is the only 755 nm / 532 nm laser for tattoo removal of all colors. 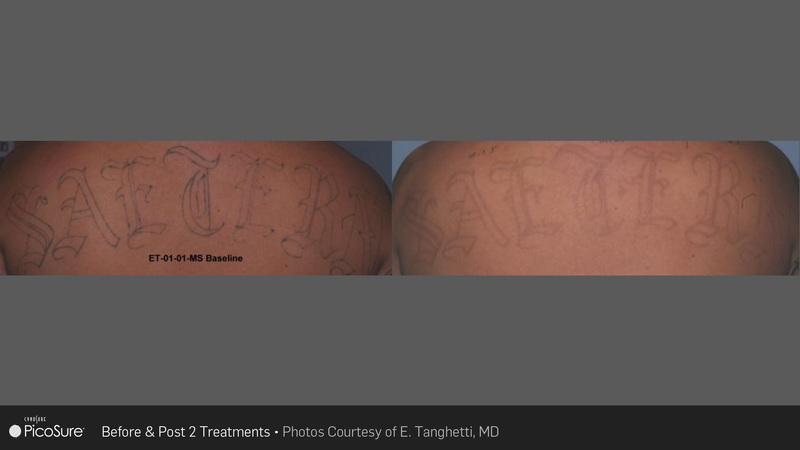 It is proven and trusted by leading providers and is the only device that treats all ink colors more effectively, shattering the ink into tiny microscopic particles that are more quickly absorbed and eliminated by your body- for faster results in fewer treatments.